A preferred language in scientific fields, but also in philosophy and music, German has a long tradition of thinkers and artists which continues to this day. 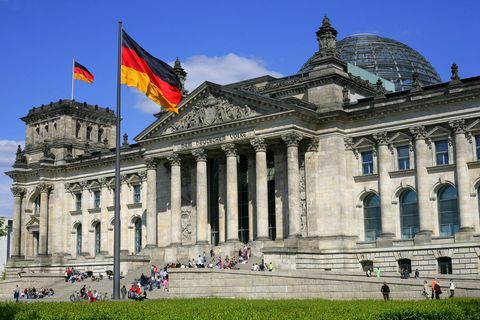 To speak German means to get closer to the culture of Goethe, Kant, Marx, Kafka and many others for literature, and Mozart, Bach, Beethoven for the best known in classical music. But beyond the cultural aspect, it is necessary to recall the status of 4th world economy and 1st in Europe that Germany has. Always dynamic and relatively open to immigration, this country presents strong assets when it comes to pursuing studies or a professional career. More than one hundred million people speak German in Europe, and 22% of pupils in the European Union learn it has a foreign language. Also, since 2008, the Vietnamese-German University strenghten the bonds between Germany and Vietnam, and will soon have a second and brand new campus in Ho Chi Minh City. Still in the field of education, it should also be noted that there are two locations for the Deutsche Schule IGS in the district 2 of Saigon. It is estimated that there are about 85,000 Vietnamese settled in Germany, not including Germans of Vietnamese origin.